For years 7-13 every Friday at the church from 7.30pm – 9.00pm during term time. A safe and exciting club for all young people of secondary school age. All are welcome, come and join us! Check below for details of our latest programme. Those in year’s 10-13 are welcome to stay on from 9:00pm – 10:00pm for Xtra Time. Cost 50p. Please contact us for more information. 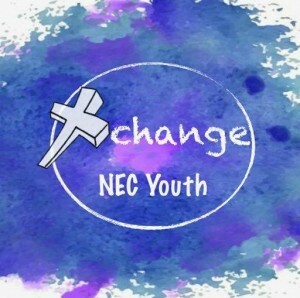 Xchange and Xtra Time at the Evangelical Church are run entirely by volunteer members of the church who willingly give up their time to share their Christian faith and provide opportunities for the youth of Newtown to have fun in a safe place on a Friday night. We have a child protection policy in place at the church and all the youth leaders have been DBS checked. We occasionally go away from the church (bowling trips etc) and we will need a signed consent form for this. We try and keep costs to a minimum, subs are 50p plus money for the tuck shop. If we go on a trip it’s done at cost – approx £5-£6 plus money for chips. We are not a profit making club. Our Sunday services are at 10am with a creche and Sunday school and also at 6pm. Please feel free to join us any time. If you have any questions or concerns please speak to one of the leaders or phone the church. Thanks.